Engineers with shrinking development cycles know that the time and cost of physical prototypes are not feasible anymore. 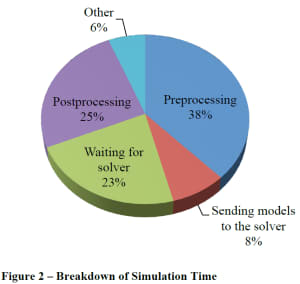 Unfortunately, computer-aided engineering (CAE) tools, like simulation, have bottlenecks that can grind development to a halt. Michelle Boucher is the vice president of research for engineering software at Tech-Clarity. Michelle has spent over 20 years in various roles in engineering, marketing and management, working with industry as well as software vendors. As an industry analyst she has benchmarked over 7,000 product development professionals and published over 90 reports on product development best practices, including the use of CAE software.